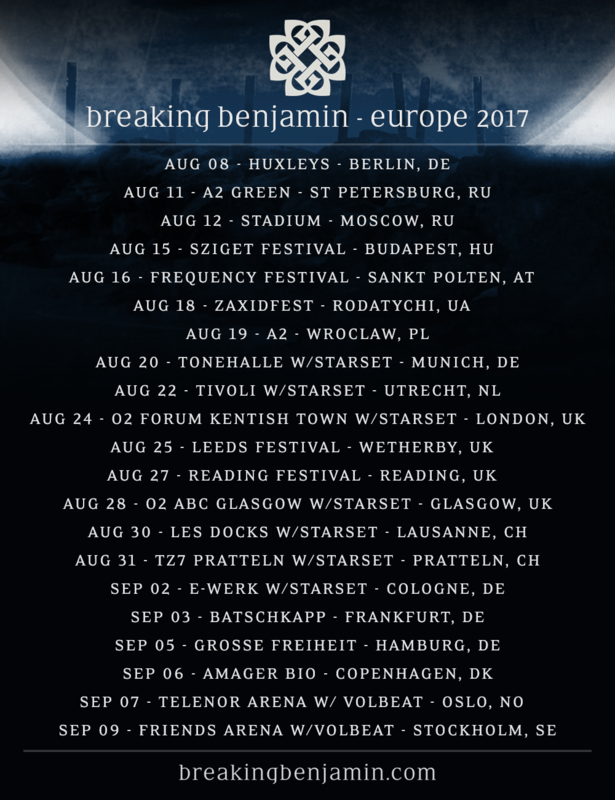 Breaking Benjamin Return to Europe - GENRE IS DEAD! After their amazing run in Europe in 2016, Breaking Benjamin travel back to Europe this summer for their longest headline tour across the Atlantic Ocean yet. The band around frontman Benjamin Burnley will once again come to Europe via ship to get their rocking show to the fans after some well received shows in 2016.